It was a perfect day in Playa del Carma, Mexico. The sun was shining, the skies matched the azure blue of the ocean, and a light breeze rustled the palm trees. What could possibly go wrong? I was returning from a glass-bottomed boat tour with my husband and mother-in-law when we decided to grab some lunch. Next to our pier was a shopping district with brightly colored stucco shops and tropical vegetation everywhere. In the middle of the square was an aviary with dozens of exotic birds. Most were perched in a huge cage overlooking the beach, but some were flying around or perched on roosts above the square. "Look at that one!" I told my husband. The bird was magnificent. 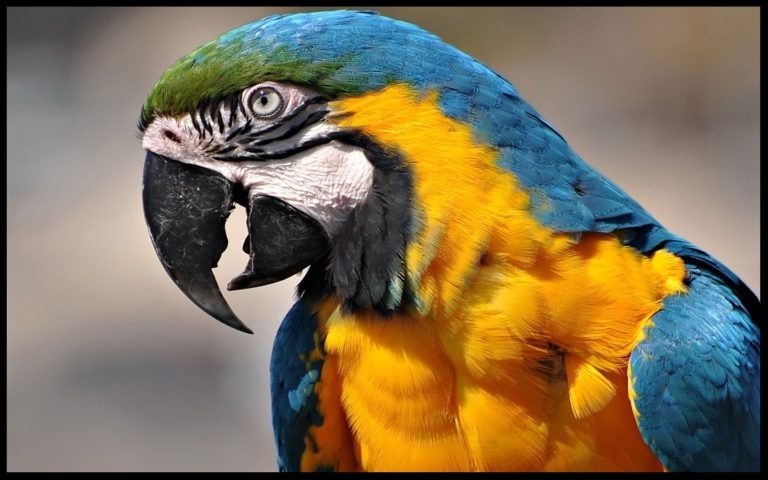 It was a huge Blue-throated male macaw with cobalt wings and a golden yellow chest. "Isn't he gorgeous?" "Get his picture," my husband said. I was already removing the lens cover from my camera. I zoomed in, but the angle wasn't right. The thick netting was blocking the shot. "Try over here," my husband suggested. I moved to a spot almost directly below and behind the bird. Now the frame was right. I zoomed in on his regal head. Perfect! I took the shot. Then I felt something plop on my shoulder. I looked down to find a thick stream of macaw poop flowing down my arm. "Ugh!" I exclaimed. I turned my attention back to the macaw. I swear that bird was looking right at me. Disgusting as the situation was, I managed to keep my composure until my brain suddenly registered that the hot mess running down my arm was... well... hot. I lost it. Thank goodness my stomach was empty. I dry-heaved over and over again while my husband and mother-in-law stood there laughing their heads off. "I'm glad... blech... you guys think... blech... this is FUNNY!" I said. A kind shopkeeper brought me some paper napkins and pointed to the restrooms in a corner of the square. I managed to thank her and hurried off, still heaving. I must have used half the soap in the dispenser. When I came out, I found my husband and mother-in-law sitting on a park bench. When they saw me, they burst out laughing again. My husband grinned at me and winked. "Ready for some lunch?" My stomach rolled. "You guys go ahead," I said. "I'm going back to the ship." I searched the aviary until I found the macaw, still standing on the same roost. I stuck my tongue out at him. I didn't get lunch that day, but at least I got a great photo.